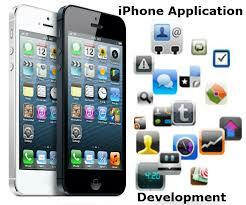 The launch of different versions of iOS has galvanized the industry of iOS application development. With every new launch Apple is providing different app and hardware features to its customers. In this manner, every new version of software is loaded with new and improved features and in-built qualities. The best iOS apps development company use their technical skills and amazing features of very version to build the best match iPhone app. Most of the iPhone users seek to use the features of new and last version features in their apps. So, if you have an idea and want to convert it an application to earn money than you needs to hire the best iOS apps development company. Just keep an eye on the following points if you are searching for iOS apps development company to increase the chances of getting the right iOS developer for your idea. Professionals in a company or a freelancer? The developers you are going to hire must be perfect at what they do. While there are many freelancers working in the market and also with the latest technologies they keep themselves updated, but the best way to get an application on time is to hire a professional developer company. The iOS apps development company provides you on time delivery and expert solutions for your requirements. Companies also provide regular training to their developers to update them with the latest technologies and tools. While hiring an iOS app developer company you have to check out their portfolio. You have to check out the best parts and their working ability to complete the tasks. You need to check out their portfolio to get the better idea about what they have created recently and in present. It would also be a better idea to download any of their existing app from the Apple store to check out the working power and designs capability of the developers. It will also help you to get the idea of their concept understanding. Developers who are dedicated for their skills and knowledge always download beta versions of the updated operating systems to get the better idea about its working. You need to hire the best iOS apps development company who has worked with beta version to confirm the guaranteed success of your app. In other ways you need to ask for recommendations and you can search far and wide to get a successful iOS application for your requirement.